DATE OF BIRTH: September 21, 1984. Olubowale Victor Akintimehin (born September 21, 1984), better known by his stage name Wale is an American rapper from Washington, DC. He rose to prominence in 2006, when his song “Dig Dug (Shake It)” became popular in his hometown. Wale became locally recognized and continued recording music for the regional audience. Producer Mark Ronson discovered Wale in 2006 and signed him to Allido Records in 2007. While signed to that label, Wale released several mixtapes and appeared in national media including MTV and various Black-American-focused magazines. A song called “Ridin’ in That Black Joint” was featured in the popular video game Saints Row 2’s soundtrack in 2008. Wale, a Nigerian American, was born Olubowale Victor Akintimehin in Northwest, Washington, D.C. on September 21, 1984. His parents are of the Yoruba ethnic group of southwestern Nigeria and came to the United States from Austria in 1979. Wale’s family first lived in Northwest, Washington, DC before moving to Montgomery County when Wale was 10. He graduated from Quince Orchard High School in Gaithersburg, Maryland in 2002 and later moved to Largo, Maryland in Prince George’s County. Wale attended Robert Morris University and Virginia State University on football scholarships, then transferred to Bowie State University but dropped out due to academic reasons. Wale’s love of the game of football and the Washington Redskins has led to a longstanding rumor that Wale had a tattoo of tight end Chris Cooley. He is the cousin of actor Gbenga Akinnagbe, best known as Chris Partlow on HBO’s The Wire. In January 2007, Wale released a new single to radio called “Good Girls” produced by Gerard Thomas and Demario Bridges for TeamMusicGroup. Wale later appeared on Mark Ronson’s remix of Lily Allen’s “Smile” and was a headliner on Ronson’s UK tour that year promoting Ronson’s second album Version In June 2007, Wale signed to a production deal with Ronson’s Allido Records. In May 2010, Wale abruptly canceled a scheduled performance at DC Black Pride, an annual black gay pride event. In an email to the event’s organizer, Wale’s manager claimed he was unaware it was a gay event when he agreed to perform. However, on May 28, 2010, it was announced he would perform alongside the headliner for free. Wale released his third mixtape, 100 Miles & Running, on July 11, 2007 as a free download on his Myspace page. This mixtape includes features from Mark Ronson, Daniel Merriweather, Amy Winehouse, and Lily Allen. It was released on the same day as his performance at the Highline Ballroom, in Manhattan. The Highline show was to promote the US release of Mark Ronson’s album and included performances by Mark Ronson, Wale, Saigon, and Daniel Merriweather. Jay-Z, Beyoncé, Kanye West, Maroon 5, Clive Davis, Eve and Danny Masterson were all in attendance. There, Wale was interviewed by MTV News correspondent J. D. Tuminski for his first national TV feature on August 16, 2007.With Ronson, Wale performed “W. A. L. E. D. A. N. C. E. “, a remix of Justice’s “D.A.N.C.E.” from Wale’s 100 Miles mixtape, at the 2007 MTV Video Music Awards in Las Vegas, Nevada. The Washington Post profiled Wale on the front page of the Sunday Style section in the October 21, 2007 edition. Wale was featured on the cover of the 150th issue of URB along with French electro group Justice. 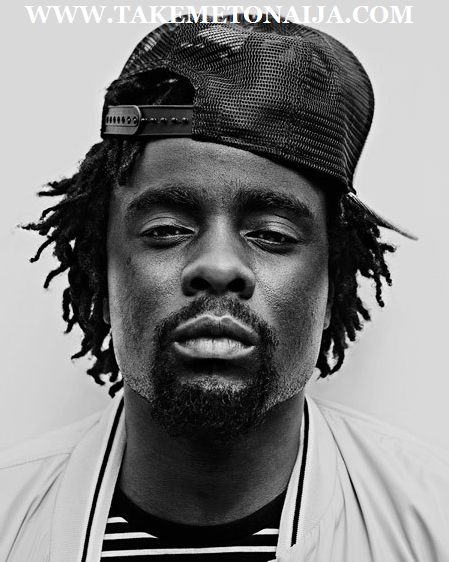 In March 2008, Wale signed a joint venture deal with Mark Ronson’s Allido Records and Interscope, joining Rhymefest and Daniel Merriweather as Allido artists. Epic Records, Atlantic Records, and Def Jam all competed to sign Wale. On May 30, Wale released his fourth mixtapeThe Mixtape About Nothing, heavily produced by Best Kept Secret. Wale said that the television show Seinfeld inspired The Mixtape About Nothing: “the TV show’s ‘honest dialogue’ mirrors his lyrical style, which frequently references pop culture and politics while avoiding gangster-rap bluster”. After signing with Interscope, Wale began recording tracks for his major label debut: in a 2008 interview with Express, a newspaper published by the Washington Post Company, Wale announced that he was recording a song with Chrisette Michele called “Shades”, which discusses inter-black racism. Wale also appeared on Interscope label mate DJ Greg Street’s single “Dope Boys” which samples Hip Hop classic T.R.O.Y. alongside Lupe Fiasco and Kardinal Offishall. Rapper Young Chris of rap duo Young Gunz also began plans for a collaboration mixtape with Wale. On November 10, 2009 Wale’s debut album, Attention Deficit, had primarily positive reception. Metacritic, which assigns a standardized score out of 100, rated the album 77 based on 21 reviews. It debuted at the number 21 spot on the Billboard 200 and sold 28,000 copies in its first week. Interscope claimed that the LP was undershipped and that was the reason for the low sales numbers. Daniel Weisman, Wale’s manager, claimed that Interscope didn’t ship enough copies of the album. [ The first single off Attention Deficit was “Chillin”, featuring Lady Gaga, followed by “Pretty Girls” featuring Gucci Mane and Weensey and “World Tour” featuring Jazmine Sullivan. Other guest artists on the album included Pharrell; Bun B; Chrisette Michele; K’Naan; Marsha Ambrosius; J. Cole; and Melanie Fiona. In March 2010, Rapper Wale announced he and K’Naan would kick off a short co-headlining tour across the east coast of the US, beginning at the end of March in New York City. According to Wale, he is in the studio with Gucci Mane, Waka Flocka Flame, Roscoe Dash, Sean Garrett, and Drumma Boy. On November 25, 2011, shortly after the release of Ambition, Wale announced on Twitter that he has already begun working on his third album. In an interview with UpVenue in January 2012, Wale confirmed the third album and the focus will be about his growth as a person.He was featured on Maybach Music Group’s second studio album Self Made II. Wale released the mixtape Folarin on December 24, 2012 which is hosted by DJ Clark Kent. He released a trailer for Folarinon December 6, 2012. He has also started working on his third studio album which is to be released in 2013. The mixtape features guest spots Rick Ross, 2 Chainz, Scarface, Nipsey Hussle, French Montana, Tiara Thomas, Lightshow, and Trinidad James among others. Production comes from Hit-Boy, Jake One, Cardo,Diplo, Beat Billionaire and Rico Love among others. When speaking of his third studio album Wale would say, “its going to have one sound, very, very soulful” and said the first single, “Bad” is a pretty good indication of the direction I’m going for this project.” The album is set to release on June 25, 2013 and with his fourth album is coming a couple months after that. Wale announced he was collaborating with Jerry Seinfeld on his fourth studio album to be titled The Album About Nothing. He later said he was also collaborating with producer No I.D. on the album. He also said he would release a collaboration mixtape with Meek Mill during 2013. To build hype for The Gifted, Wale released “Sight of the Sun,” a remix of the Fun. song of the same name. This was similar to the songs “Bittersweet” and “Fly Away,” which he released prior to Attention: Deficit. On September 9, 2014 Wale released the first single from the album The Album About Nothing titled “The Body” featuring American singer Jeremih. On November 17, 2014 Wale announced a 31-date US tour entitled the Simply Nothing Tour. The tour is in support of his upcoming 2015 album, The Album About Nothing.On December 24th 2014, Wale released the mixtape Festivus heavily themed by the Seinfeld holiday. Features on the mixtape included Chance The Rapper, A$AP Ferg, and Pusha T, among others. On March 31, 2015 Wale released his fourth studio album The Album About Nothing, which featured Jerry Seinfeld, J. Cole, Usher, and SZA among others. It became his second #1 album in the United States. It was revealed that Wale would next serve as the Executive Producer for Maybach Music Group’s next collaborative album Self Made 4. Wale also recorded the original music theme for the popular ESPN sports talk show First Take, which features journalists/panelists Stephen A. Smith and Skip Bayless and moderator/host Molly Qerim. The two-hour show, which airs twice daily at 10 a.m. and 1 p.m. on ESPN2, prominent features Wale’s theme at the beginning of the show. Have won several awards which includes BET,Soul-Train and Nigerian Entertainment Award.